Leeladhar Singh, a farmer from Madhya Pradesh’s Hoshangabad district, is losing patience. Since 2016, whenever he applies for crop loan, the bank deducts a part of the amount as premium for the Pradhan Mantri Fasal Bima Yoja na (PMFBY) before disbursing it. “They say the mandatory provision would insure me against crop losses. I have not received any money despite facing losses in the past four successive cro ping seasons,” he says. Under PMFBY, launched in April 2016, the government appoints an insurance company, selected through bidding, to insure farmers in a cluster of districts against crop losses due to weather events, pest attacks or fire. The insurer charges the premium on an actuarial rate (an estimate of the expected value of future loss). Farmers under PMFBY pay a fixed 2 per cent of the sum insured for kharif crops and 1.5 per cent for rabi crops. The differe nce between the actuarial premium rate and the rate of insurance payable by farmers is shared equally by the state and Union governments (see ‘Has crop insurance worked for the farmers’, Down To Earth, 1-15 August, 2017). Singh says he has to shell out almost Rs 6,000 every crop season as PMFBY premium. “Given an option, I would like to opt out of it,” he adds. Far away from Hoshangabad, Chamarasa Mali Patil, a non-lonee farmer and president of the Karnataka State Farmers’ Association, has already stopped subscribing to the scheme. “I was excited when I heard about it and invested Rs 6,000 as premium in kharif 2016. A prolonged dry season ruined my gram and barley crops. My claims are yet to be honoured,” he says. A government reply in Lok Sabha in March 2018 shows the number of farmers under PMFBY, both loanee and non-loanee, has significantly reduced over the past years (see ‘Few takers’). The number of loanee farmers, who account for over 70 per cent of those under PMFBY since the insurance is a prerequisite for crop loans, has dropp ed by 20 per cent. The government has a plausible reason for it. 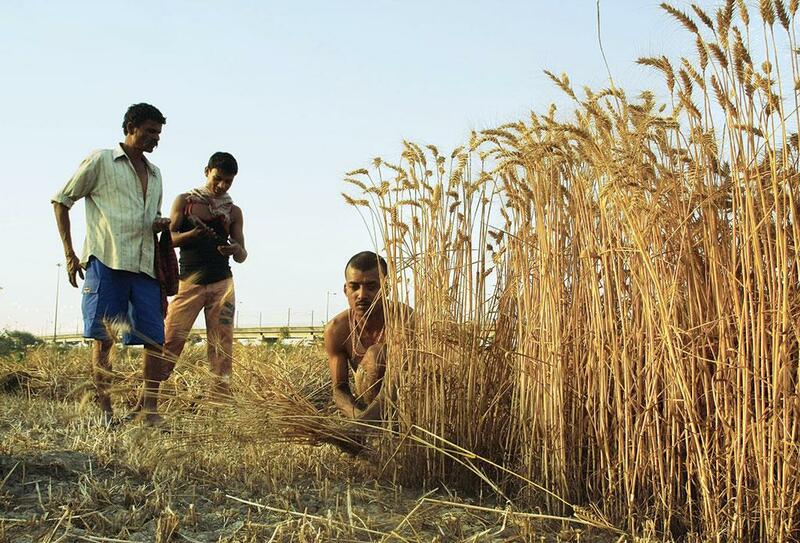 According to the Reserve Bank of India, agricultural credit saw less growth (3.8 per cent) in 2017-18 in comparison to 12.4 per cent in 2016-17. This brought down the number of farmers under PMFBY. As the scheme enters its third year, the government is worried about its ambitious target of covering 50 per cent of the gross cropped area by March 2019. The extent of insured farms has reduced in last two years and only 30 per cent area is now covered under PMFBY (see ‘Target missed?’). So, where lies the problem? Analysts say delay in processing of claims is the reason PMFBY is losing favour with farmers. So far, insurance companies have settled only 45 per cent of the PMFBY claims made over the last three crop seasons. In May, during the meeting of the scheme’s National Level Monitoring Committee, the gov ernment admitted that in the first year claim settlements were delayed by over seven months. This has been reduced to two months in the second year. The delay is attributed to problems associated with the core mechanism involved in claim settlement—the crop cutting experiment (CCE). Every crop season, a team of officials from the state agriculture department and local insurance company visits four rando mly selected fields in a village to assess crop loss. Using sampling method, they identify small areas on the fields and harvest the produce to ascertain yield of the season. This is CCE. The state shares the crop yield data with the insurer, which then decides the extent of crop damage and the claim amount. Going by PMFBY guidelines, insurance companies are bound to settle the claims within three weeks of receiving the yield data. But a working paper by ICRIER, published in February 2018, shows the government in 2016-17 conducted 0.92 million CCEs against the need of 3 million. Besides, hardly any investments have been made to make CCEs reliable and timely. A senior official at Agriculture Insura nce Company of India Ltd (AIC), says, “States do not have humanpower even to conduct half of the targeted CCEs.” The May 2018 report of the Union agriculture ministry shows most states delayed sending the yield data for kharif 2017 by three months while states like Jharkhand, West Bengal and Gujarat didn’t provide any data. The way officials conduct CCE has been another bone of contention. PMFBY guidelines say officials must use mobile-based technology with GPS sta mping to improve transparency and quality of CCEs. But a few states—Maharashtra, Gujarat, Karnataka, Odisha, Tamil Nadu, Telangana and Chhattisgarh—have done, on a case-to-case basis. Most states do not have the required number of smart phones. Once transparency is questioned, the credibility of CCE data comes under fire. In early July, hundreds of farmers from Maharshtra’s Parbhani districts trooped down to Delhi and submitted a memorandum to Union agriculture minister Radha Mohan Singh. They allege Reliance General Insurance (RGI), which is the insurer for the region, interfered in CCEs to see to it that the yield is declared very high so that it pays less compensation. The company does not have an office in the district and has not appointed a notified loss assessor at taluk level, as required under PMFBY. Though 11,000 farmers submitted premium under the scheme in kharif 2017, thousands of them did not feature in the beneficiary list and did not get compensation. Despite this, RGI has not conducted a grievance redressal, mandatory under PMFBY, they allege. RGI officials did not respond to Down To Earth queries. States also do not appear to be as supportive of the scheme as they are expected to be. To begin with, several states are not regular in paying their share of premium citing heavy financial load (see ‘States reluctant...’). This means non-initiation of the insurance process as the Centre pays its share only after the states have paid. According to the ICRIER working paper, high cost of actuarial premium could be a major hurdle for PMFBY. It accounts for nearly one-third of the budget of the Department of Agriculture Coope ration and Farmers Welfare under the Union government. Many states say the premium accounts up to 40 per cent of their annual agriculture budget. Though it was expected that the increase in insured areas would reduce the premium rate, the premium rates have increased from 11.6 per cent of in kharif 2015 to 12.5 per cent in kharif 2016. Now, with less area under coverage it might increase further. The premium rates are spiralling due to two reasons. First is untimely notification by states for bidding by insurance companies. PMFBY guidelines say the notification must be issued at least a month in advance. But this has not been the case. For instance, only six states had issued bidding notification till June 13 for this year’s kharif season that starts in July. Experience shows such delay means a higher actuarial premium rate. This leads to the second reason. The insurance business has changed fundamentally. “Most companies now transfer their risk to re-insurance firms. Untimely notification and delayed subsidy payments do not inspire confidence in them, and they quote very high premium rates,” says the senior AIC official. He offers a solution: Instead of bidding every crop season, it should be done once in three years so that insurance firms gain confidence to create infrastructure down to the level of village. (This article was first published in the 16-31st July issue of Down To Earth under the headline 'Insured, really?'). Political parties choose farm loan waiver for electoral gains, but at what cost?